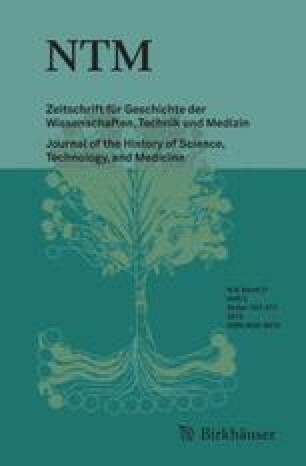 The articles collected in this number all originate from a section of the 2004 annual meeting of the Deutsche Gesellschaft für Geschichte der Medizin, Naturwissenschaft und Technik.The section was organized by the Berlin Feminist Science Studies Workgroup (BFSSW) at the Max Planck Institute for the History of Science, Berlin. The contributions are dedicated to recent accounts and research topics in a field constituted by the intersection between 20th century (life) sciences and gender studies.They view modern life sciences as situated in hybrid fields of theory and practice, public and scientific discourse, of experimental procedures and practices of control. Methodological approaches range from Derrida’s notion of deconstruction, Foucault’s regulatory power and governmentality, Butler’s method of analyzing performativity and Haraway’s situated knowledge. They focus on dispositifs of research and regulation, visualizing procedures in the human sciences, and the emergence of new objects of biopolitics. One contribution focuses on the ‘politics of emotions’ and the paradoxical effects of laughter in ‘sexed’ and ‘gendered’ discourses and explores the productivity of humor for a gender-sensitive way of ‘doing history’. This introduction deals with recent developments in – mainly German – gender studies during the last two decades under the triple perspective of women in science, science of gender and gender in science.